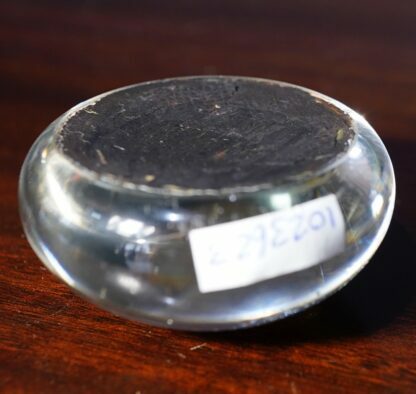 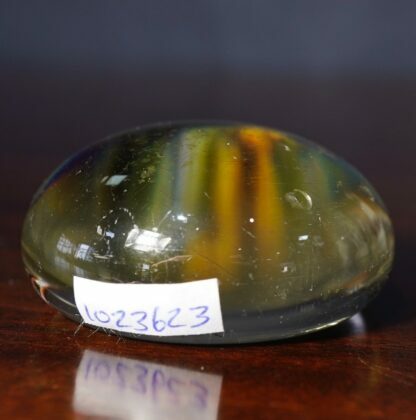 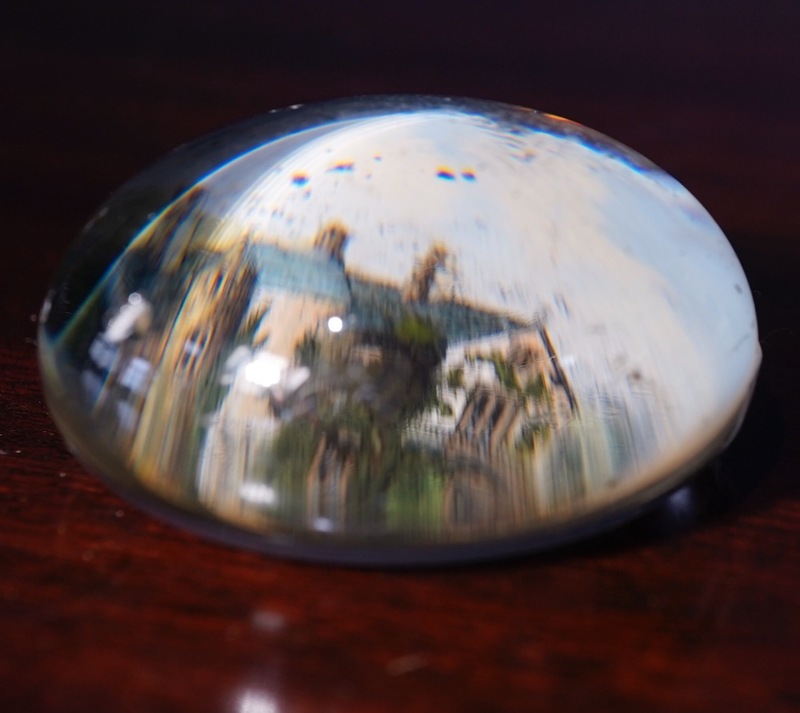 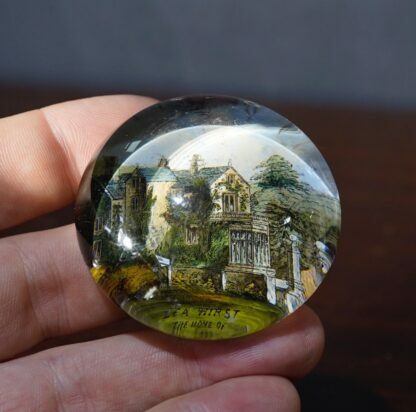 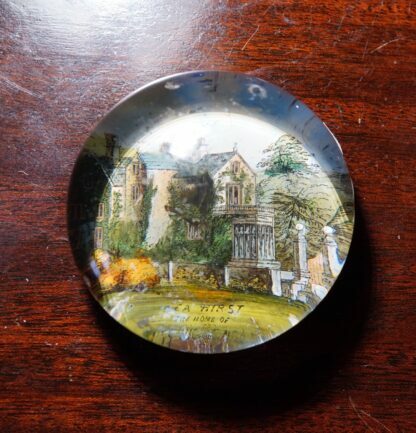 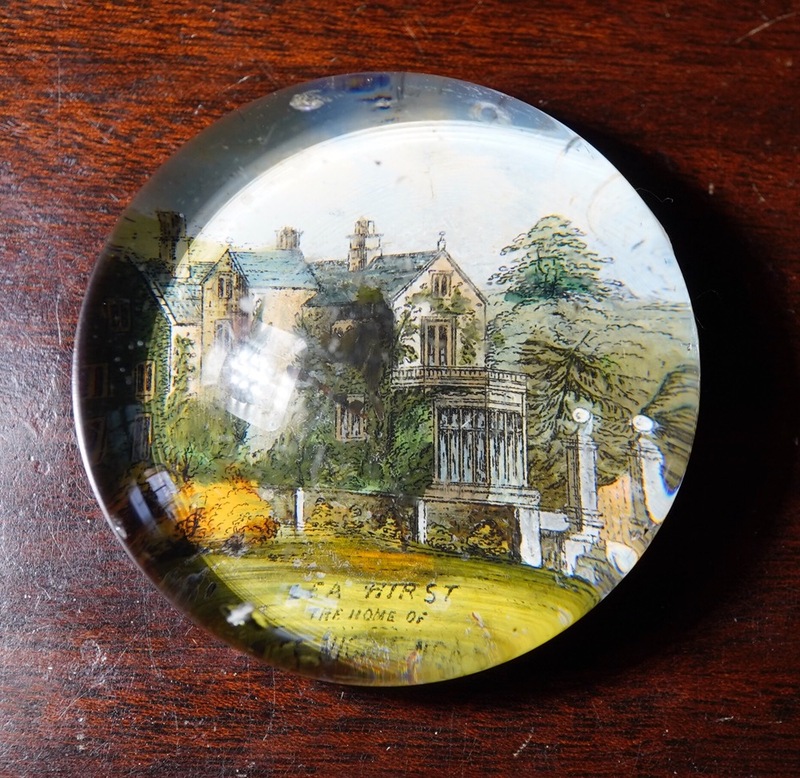 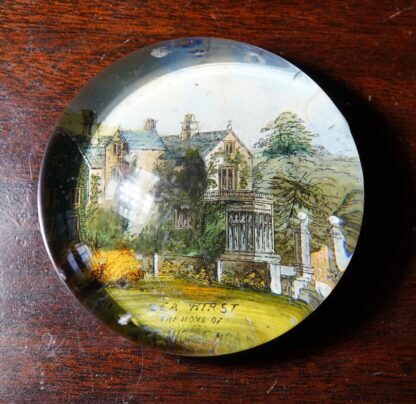 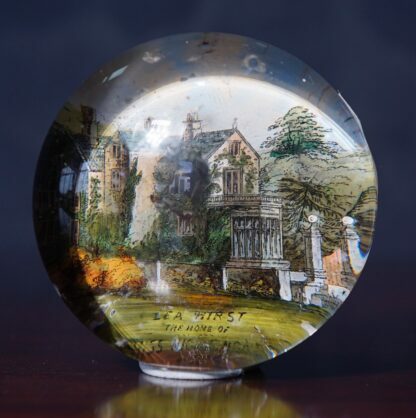 Victorian Glass Paperweight, the clear glass dome applied with a print beneath, showing a house & garden, titled ‘LEA HIRST / HOME OF / MISS NIGHTINGALE’. 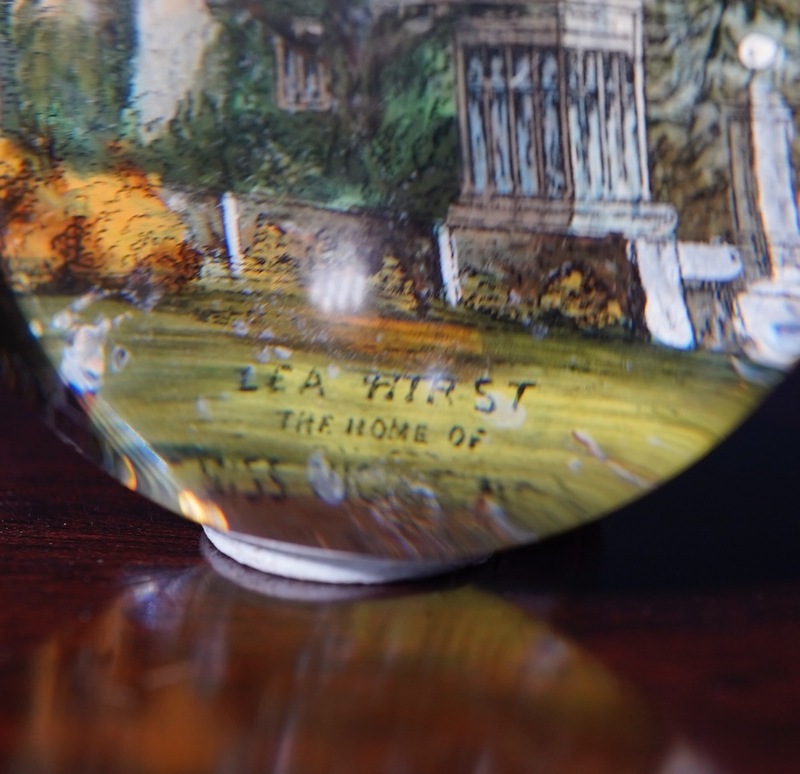 The house name has been mis-spelt; it is meant to be ‘LEA HURST’, the home of Florence Nightingale, located north of Derby. Originally a 17th century farm house, Lea Hurst was developed into a country home on the orders of Florence Nightingale’s father, William Nightingale, in 1820-21. 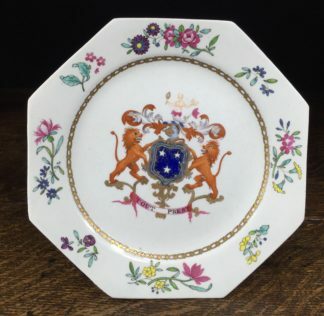 Florence is considered the ‘mother of modern nursing’, made famous by her organisation of care for the wounded during the Crimean War, 1853-6. 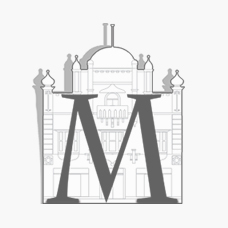 Lessons learnt there were used in her tireless campaigning & writing afterwards, and progressed to transform the world of patient care in hospitals, saving innumerable lives. 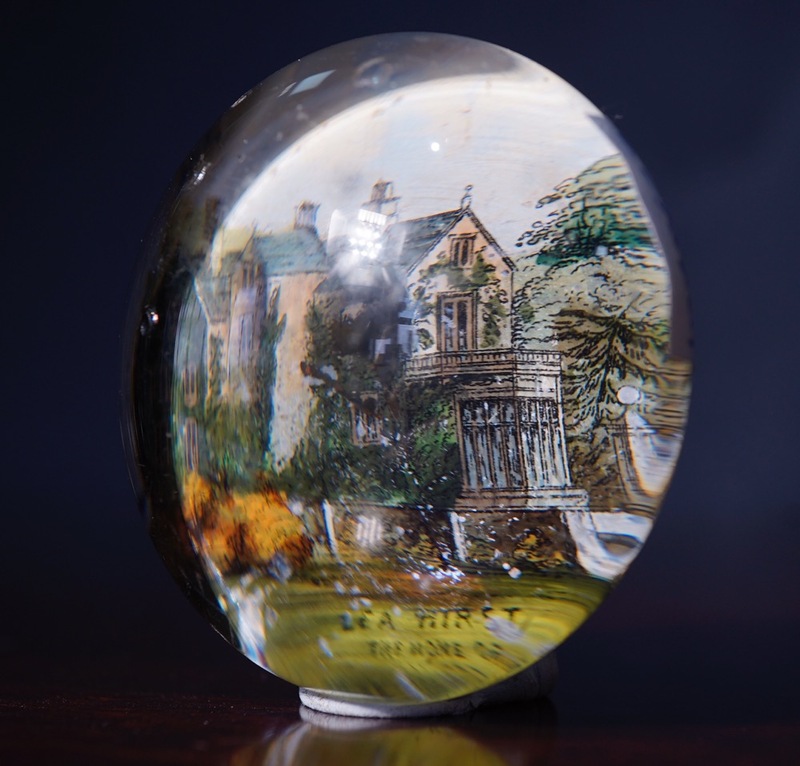 This rarity shows the esteem she was held in by the 1880’s, enough for her house to become a landmark worthy of a paperweight souvenir !